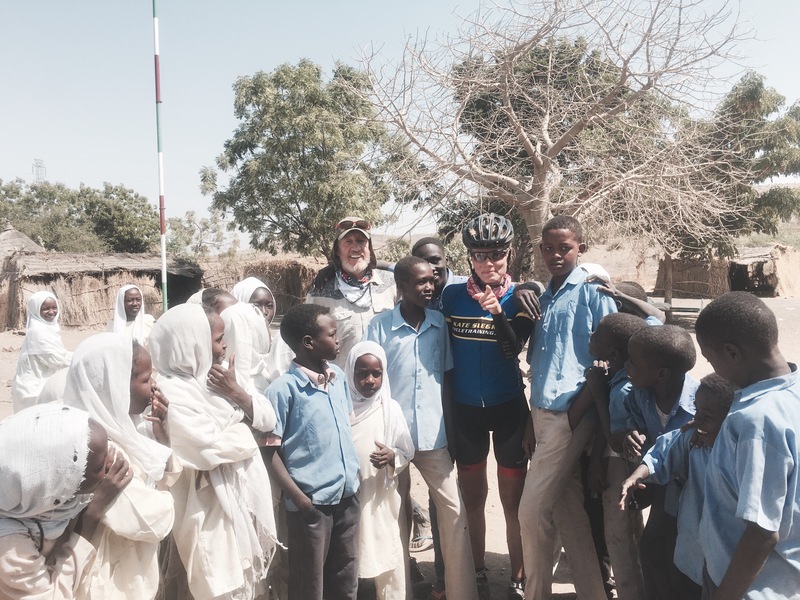 We headed from Khartoum into an 8-day back-to-back riding stretch we knew will be the first real tester for our body. 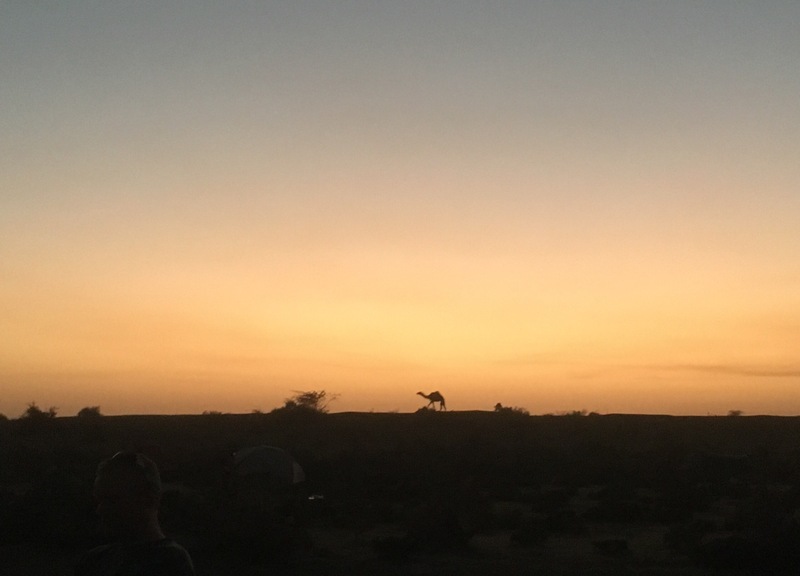 The 2400 kilometres from Cairo to Khartoum led us through the beautiful arid Sahara Desert. 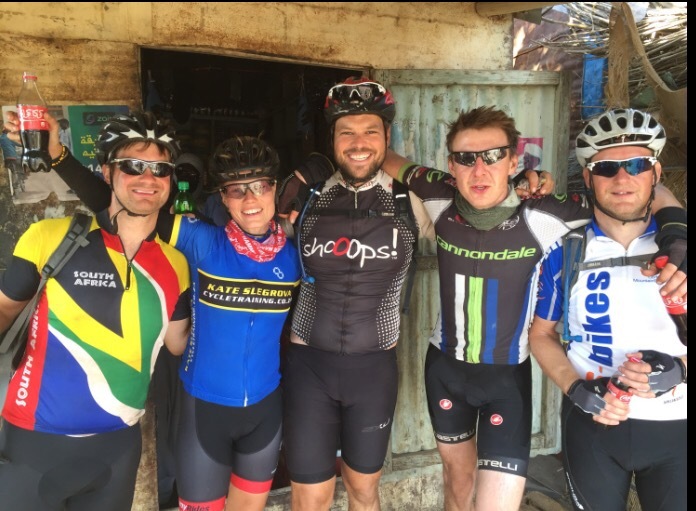 The ride was mainly flat and on tarred roads which made the trip very enjoyable and less stressful for our bodies, as the speed determined the level of intensity rather than the terrain. Also the temperatures were very pleasantly in the mid-20s during the day and a cooler below 10 degrees at night. All of this was going to change after Khartoum. 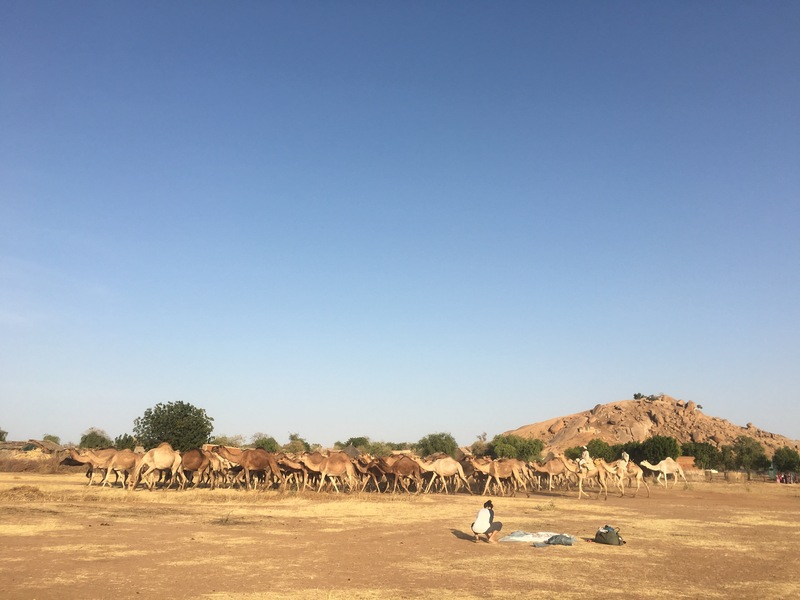 We left Khartoum in a convoy for the first couple kilometres until we reached the outskirts of the city. From there it was 120 kilometres to the Bush Camp. The stage was declared a non-race day which I usually ride in recovery pace chatting away with fellow riders. The temperatures started to rise above thirty in the late morning and it was clear that we are in for our first hot day in the saddle. At about lunch time the temperature had soared to above 40 and the only relief came from the cold Pepsi stops along the way. 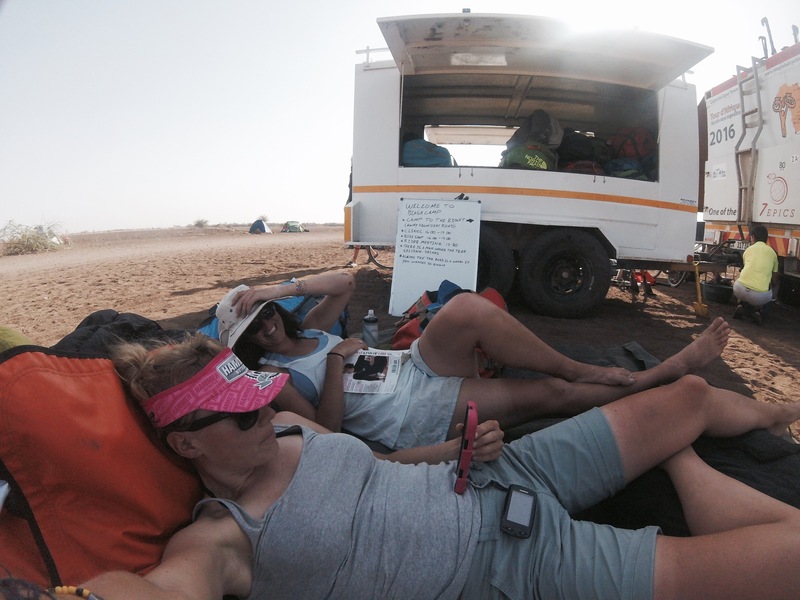 We reached the arid bush camp just after noon where the routine of wet wipe washing, tent pitching and recovery would follow. The TDA truck offers some shady spots where we riders huddle, socialise, listening to music while snacking on a soup and sipping tea. It’s hard to nap in the tent during the day and so most riders chose to retire very early straight after the rider briefing and dinner with the sunset around 7 pm. Woken up at 6am by the alarm of my iPhone I got dressed, packed up my tent, had a sip of the ginger flavoured coffee and ate the usual oat-peanut-butter-muesli power breakfast. At about 7.30 everyone was ready to set off. The stage was set out as a race day which meant that the ride was timed for all riders participating in the race. The concept of racing over 12,000 kilometres is however a bit different to the usual all-out-efforts one does on one day or multi-day events. For me it means to stay within 70-80% of my max HR, if possible, and aim not to exhaust myself too much while maintaining a good pace. Not easy if contenders go full gas and generally are able to ride bigger gears while I tread in hot air with my smaller ring set. I am the only full-sus mountainbike rider which doesn’t really allow for a fair competition on the mainly tarred roads. Still, at the moment I am 4th overall with usually just a couple minutes off the third rider. The racing however is not the main focus. It is to be able to ride Every Flippen Inch (EFI) of the tour. With this in mind, I am starting my rides with a good 20 minute warm up before I go to a closer 70-75% HR max effort and feel good at the end. This stage was going to be one of the longer races with 160 kilometres on mainly flat terrain. With music in the ear, getting comfortable in the aero bars I rode most of the stage by myself. It might sound lonely, but the time flies by very quickly, and in a sense it is very meditative. Because of the flat roads it is much easier to stay in the correct effort zones and just concentrate on the consistent pedal stroke while observing the activities around me. Once in the new camp site, we followed the usual routine. But wait, something exciting took place that afternoon! We had to prepare our bikes for the dirt roads. Ahead was a three-day stretch of off-road riding which I was, obviously, very excited about. I spent most of that afternoon cleaning my 2.2 inch tyres off the old dry sludge and pulled out dozens of South African thorns. 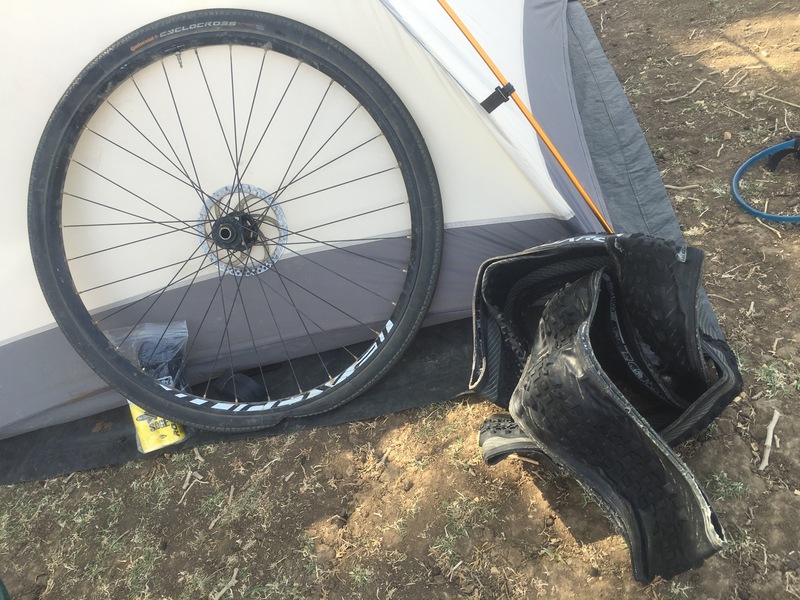 I inserted my inner tubes with sludge hoping that it would do as good a job as tubeless tyres. Most of my fellow riders were not used to riding off-road and understandably nervous by the uncertainty of what lay ahead. The ride started with 10 kilometres on a tar road before we turned on gravel. I instantly felt like a fish in the water and speeded passed most riders using the advantage of my full suss Specialized Epic mountainbike. The gravel was in relatively good condition and allowed for really high speed riding. The challenge of the day was to find the correct route. There were so many routes running parallel and intertwining that one could easily end up riding away from the correct course. A couple riders ended up taking wrong turns that day but the TDA crew were just a call away to help and direct back to the correct path. It was a fantastic ride and for the first time I did not run out of gears. The camp lay right next to a canal inviting for a refreshing mud bath, which meant one wasn’t necessary cleaner afterwards but at least the body temperature was somewhat reduced. The heat that day spiked again well into the 40s and made the afternoon rest, needed for next day’s Mando ride, challenging. This was going to be an extremely hard day on the bike. Mando days are set out to be particularly difficult routes because of the long distance, terrain and route conditions. I decided to test my legs that day and go all out. How stupid but yes, I did. I got so excited that I couldn’t help myself but race hard. The route turned out to be totally corrugated for most of the 101 kilometres. Headwinds made sure that the bit of energy saving opportunities go out of the window. 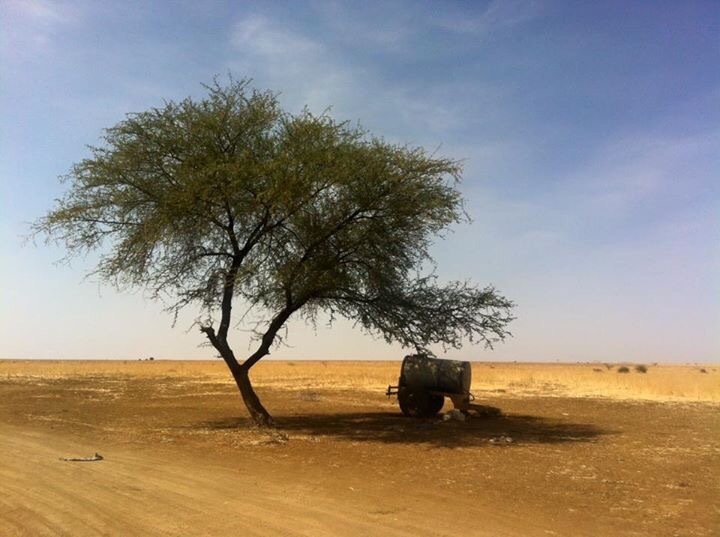 Since Khartoum the nature had changed from desert to semi desert/savanna landscape. 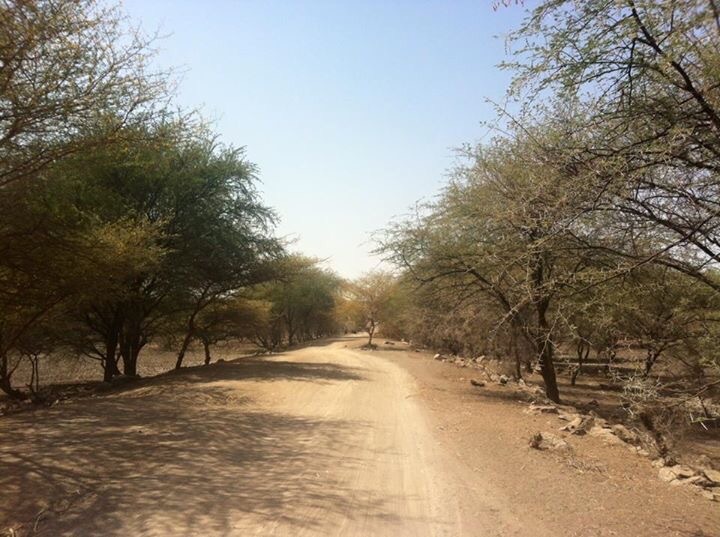 The air was dusty, dry and hot as always but now the route was decorated with thorn bushes and acacia trees. I raced for most of the 101 kilometres on my max effort and finished third that day, close to the first and second riders. I was totally exhausted and had to lie on the ground for half an hour to catch my breath. It was stupid, but it felt great. Riding all the time in an LSD type pace is just calling for trouble for someone who loves racing. But oh boy, I had to pay for it the following few days. All the other riders finished that stage. A great accomplishment given the harsh conditions. But the first effects became quickly visible. Dehydration being number one. Also, most riders were on stiff cyclocross frames which made the journey an extremely rough one. The following morning the first few riders had to get one the truck due to exhaustion and dehydration. The moment I jumped on my bike I could feel that I didn’t have my 4th gear with me and prepared myself for a steady but rather slowish race day. The route was beautiful, a proper cross-country ride through sorghum fields and Acacia tree forests. 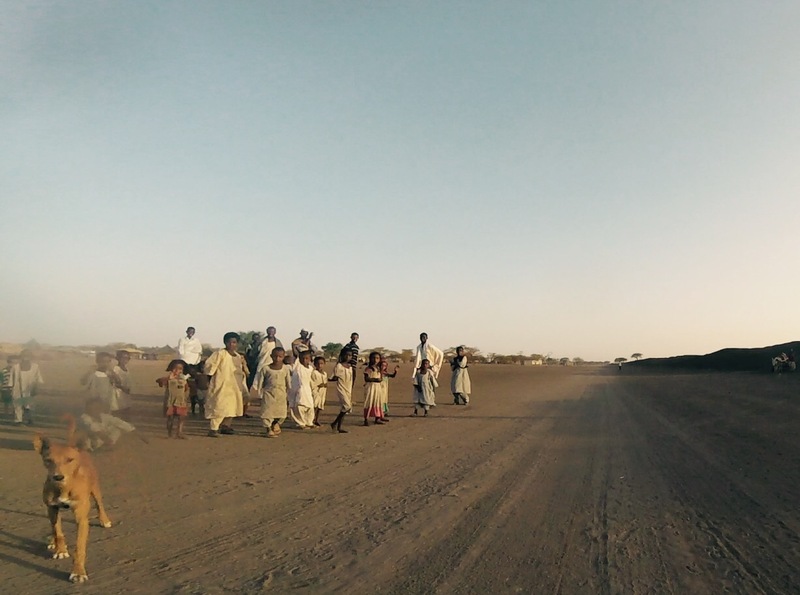 We were taken through several villages which gave us a brief glimpse of the Sudanese daily live. The ride was mainly flat and only the last 1 kilometre offered a beautiful climb on some loose rocky surface. A huge baobab tree was the finish line for that day and for the first time we had arrived before the truck and all other support vehicles. While waiting under the Baobab tree we were a great spectacle for the kids of the nearby village. Later on they would come with donkeys and water tanks, our mobile shower and the highlight of the day! The temperatures were again well into the 40s and water in any delivered form is simple magical. This stage was the last one on dirt until South of Ethiopia and so we all had to change our tyres back to the cyclocross wheels. I was sad to see my mountainbike tyres go but there was no use in keeping them on for the tar. I woke up very weak and somewhat shaky. 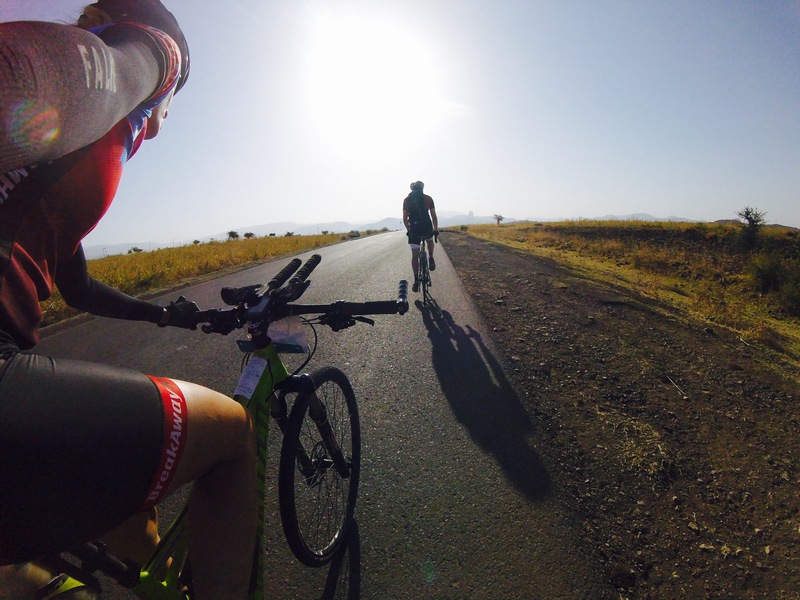 Fortunately, we crossed that day to Ethiopia and so it was a relatively short day with just under 100 kilometres. I rode in snail pace that day and struggled to eat at the lunch stop. Just before the Ethiopian border myself and Mike were stopped by a man on the side of the road. Exhausted and dehydrated from the heat we were hoping to find some coke and followed him to the village. His English was good and after talking to him a bit more it turned out that he was the headmaster of the school down the road, built by UNICEF a couple years ago. We followed his invitation and spent a couple minutes with the students at his school. We let the kids cycle our bikes too. Probably the highlight of the day for them. It’s those small things that put a smile on a child’s face! The border crossing was surprisingly efficient and so we were in Ethiopia within a few minutes after arrival at the passport control. Instantly, the roads got busier with lots more people left and right along the road. 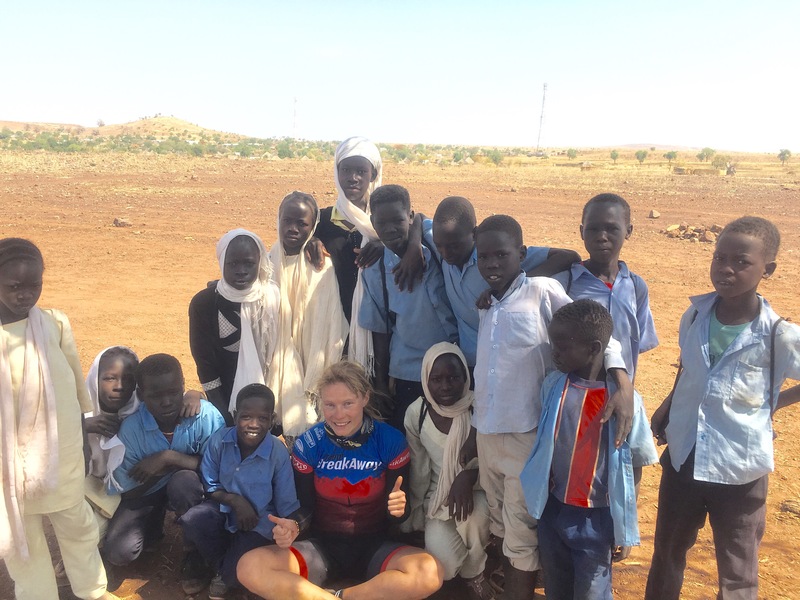 After 17 days of alcohol deprivation in Sudan, the riders were totally ecstatic to finally have their beloved beer in their hand. Some made the pub their new home for the remainder of the afternoon. For my part, I felt extremely exhausted and just longed for rest and a shady spot. We road for another 6 kilometres before we reached the camp site on the side of the road. There I just dropped the bike, pulled a nail out of my rear wheel which magically sealed by the sludge in the tube, got out of my cycle gear and lay down next to the trailer in a somewhat shady spot. I did not move until dinner. Later that evening the air cooled down a bit and I felt almost instantly better. I ate a bit of dinner, pitched my tent and fell asleep the moment I lay down. In Ethiopia the scenery changed with a lot more diversity in landscape, lush green fields, trees, and mountains. Noticeably more people lived and walked along the street which meant also more attention towards us cyclists. Given the increased availability in resources such as trees, the house structure changed from the colourful brick housing with flat roofs and more simple housing with thatched roofs in rural Sudan, to buildings made of sticks, built with vertically arranged small trees. As we made our way along the roads the Ethiopian Highlands started to shape, and before we knew it we started our first climbs of the tour. I felt much better that day but still was cautious and took it very lightly up the hills. 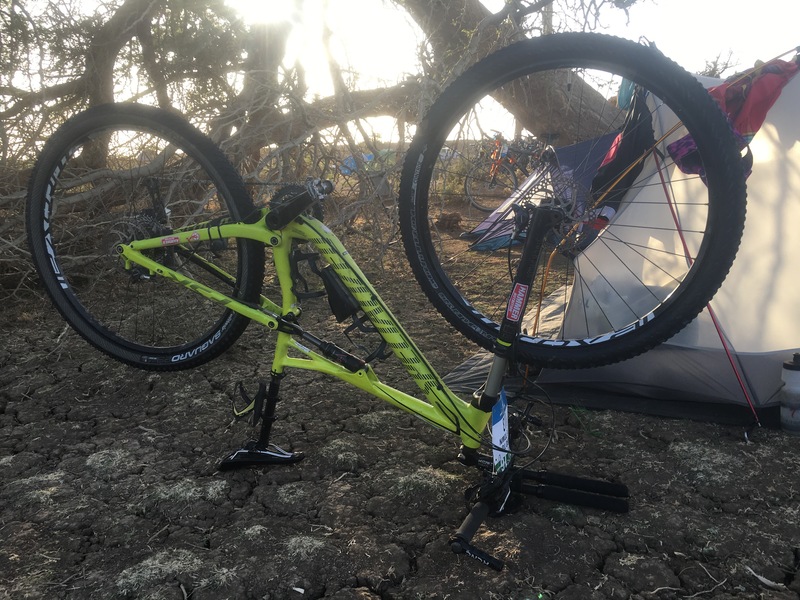 Emma, one of the stronger female riders, had a broken derailleur sitting on the side of the road, and welcoming a break, I kept her company until the mechanic brought along a spare bike in order for her to finish the ride. Feeling the climbing muscles was wonderful and although we took it easy, the heat made the ride strenuous, nonetheless. 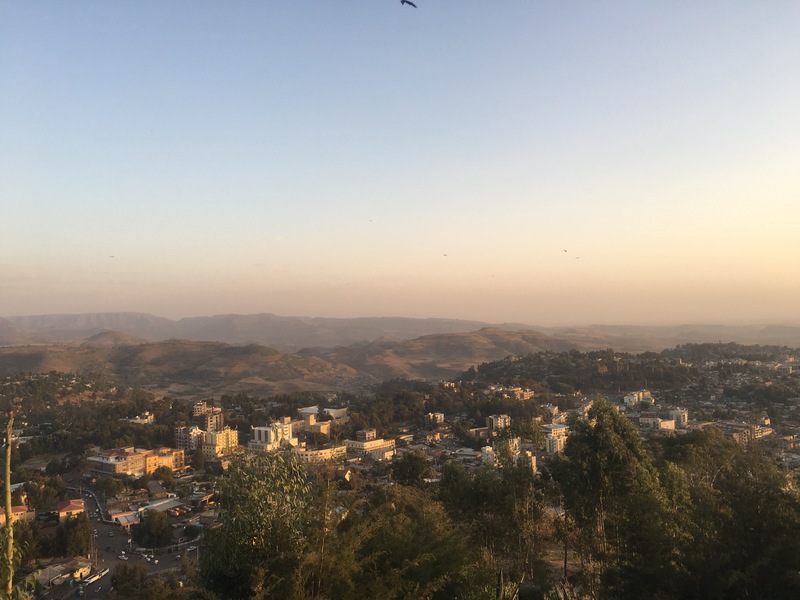 The camp was arranged on top of a hill right behind a little village with an amazing backdrop overlooking the Ethiopian Highlands. A perimeter rope was set up for the first time to keep curious children outside of the campsite. Some resourceful and business minded local woman had set up a shower area with a bucket and water canister. I will not forget that feeling sitting on the edge of the bowl splashing the cold water with my hands over my dusty and overheated body. Pure bliss. The next day awaited us another Mando day, with 2510 meters climbing over 101 kilometres. Finding a good pace and not overdoing it was my goal, still I was keen to test the ability of my legs up those hills. Turned out that the real challenge of the ride was however not the climbing or distance but the children that lined up along the route, ready to insult and throw rocks and sticks. Especially on the climbs, when we riders work hard and the strength for smiling, waving and talking is reduced proofed really testing. Some of the children were rather annoyed, tried to hold onto the bike, poked their sticks in my body or threw whatever available at me. The seriously adrenaline driving moment was however when a teeth flashing, dangerous looking and loud barking dog appeared next to my bike out of the blue. I accelerated as fast as I could and flew up the mountain until the dog was to tired and gave up. It was really hard to find a rhythm as there were hazards waiting around each corner. A real Mando day and certainly not for the faint hearted. I managed to finish in Gondar with a time of 5h24min, placing third overall not far off the second rider. 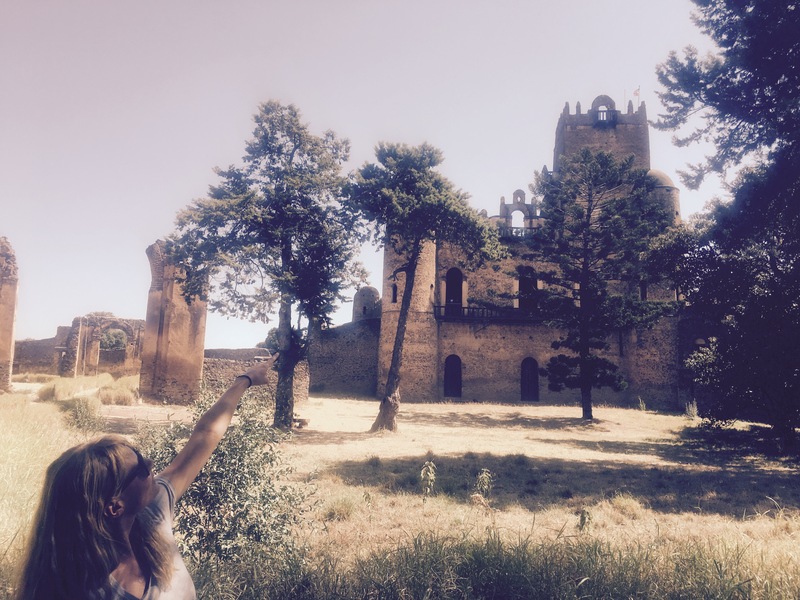 In Gondar we had a desperately needed two-day rest stay. The afternoon of the arrival day I was barely able to move. I ate and spend most of the time in bed. I booked into the Goha hotel to ensure optimal recovery. By the way, I try to stay in hotel rooms whenever we reach a bigger town. Certainly, staying in tents is comfortable and has become part of our life, but because of the heat it is very difficult to rest in the tent during the day. Also some privacy, a soft bed and running water is really welcoming at least every couple of weeks. The height of the ‘Bug’ was reached in the TDA family. Over half of the riders were now affected and had no choice but stay in bed. The following day, I went to town to get a SIM card and data. 1 hour and 1 juice later, I was back at the hotel, in my bed ready for a nap. The rest of the day was spent doing nothing, hydrating, eating and sleeping. Well, some of us did explore the nightlife a bit and went out for traditional Ethiopian dinner followed by some drinks and a bit of dancing. There is always energy for that, right? Hehe. 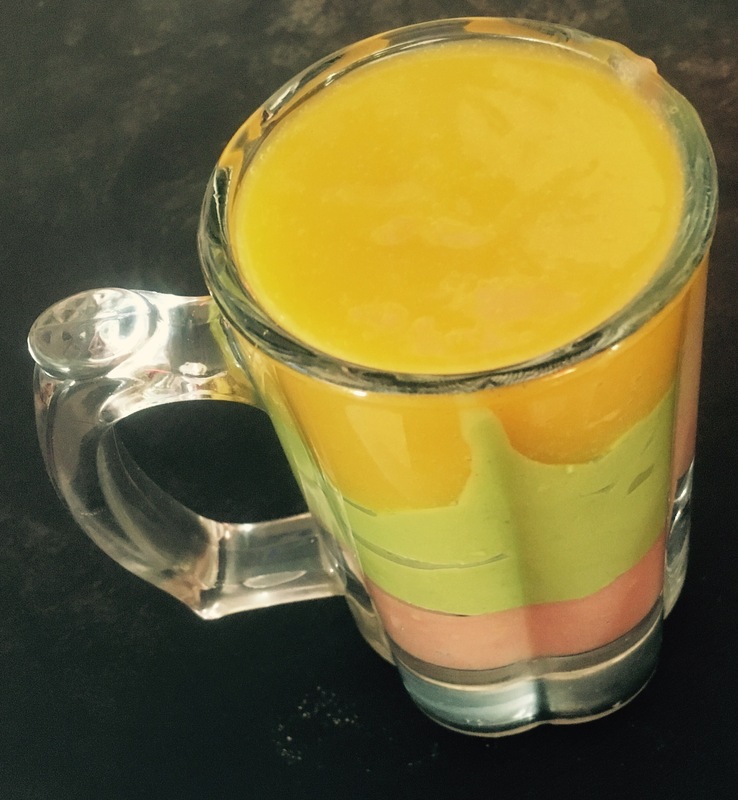 We explored a bit of the Gondar history on the last day, visited the Gondar castle and, most importantly, had one more of the uber-delicious juices Ethiopia is known for. I treated myself to a sports massage that afternoon, which left me with blue marks all over my legs and stiff muscles for the next two days. One months of cycling had left quite a few nods and tight muscle, albeit regular stretching. 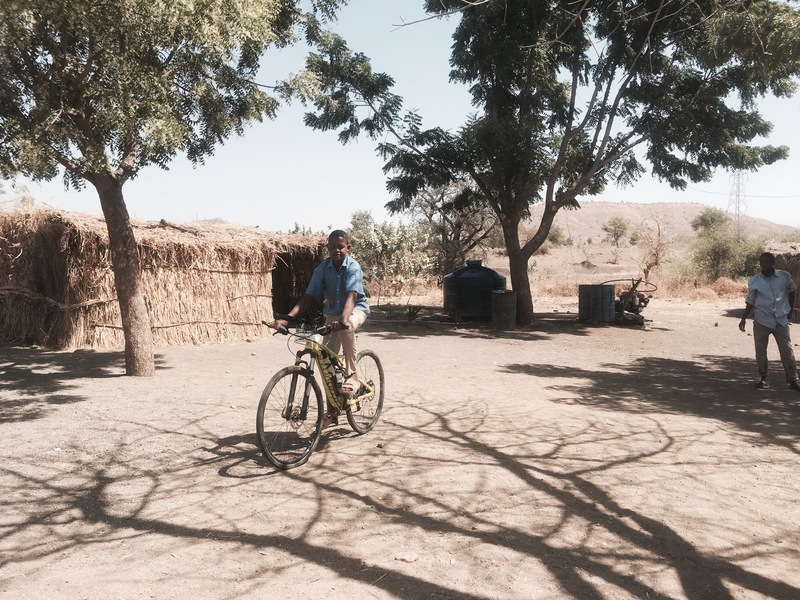 Getting back on the bike was not easy after the two-day break, and I would have preferred another day of rest in Gondar. Fortunately, we had only two days of riding ahead with one very short 60 kilometre ride to Bahir Dar. Most riders were back on their bikes and slowly gained strength. The 8-day back-to-back stretch was likely the most difficult one out of the entire tour and definitely had tested all of the riders’ ability and health. One month of adventure and riding is behind us, three more months to come. 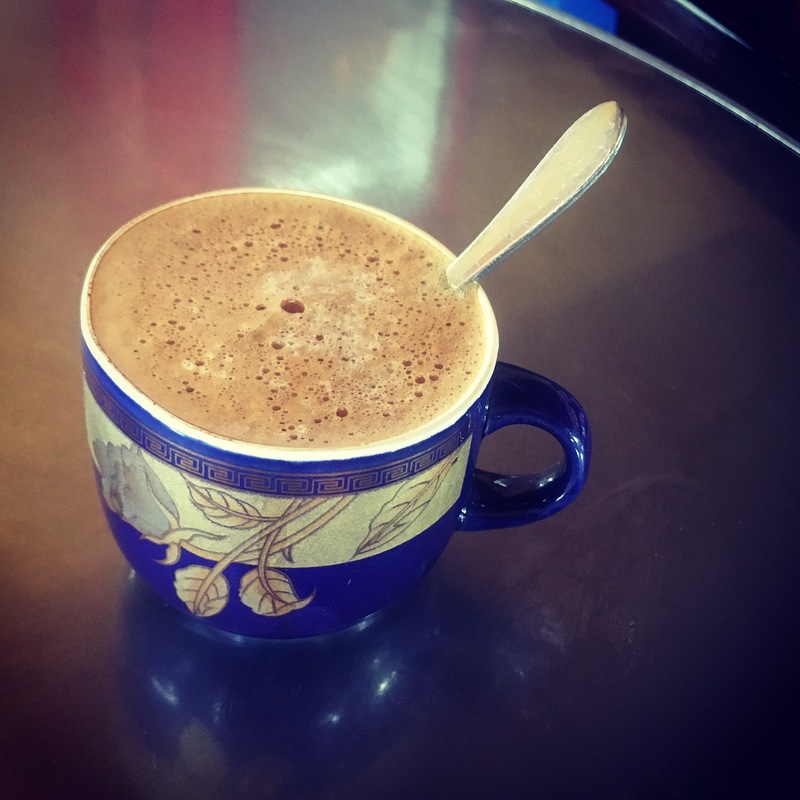 We arrived in Bahir Dar, the Riviera of Ethiopia, two days ago and were privileged to enjoy the tropical climate, great Ethiopian food and coffee during our rest day, before we continue our journey towards Addis Ababa. We will be shuttled with the bus tomorrow for 279 kilometres avoiding notorious areas that are dangerous and known for stone throwing. The bus day is followed by a time trial of 88 kilometres and 1820 meters climbing. Two additional riding days and we will arrive in Addis Ababa, the capital of Ethiopia. Until then keep doing what you love!